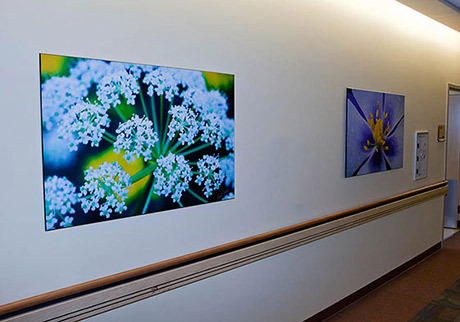 Grant Collier's images are available at volume discounts for healtcare facilities, office buildings, restaurants, home decor, and more. We offer a large variety of images for all of your needs, including night photography, close up photos, landscapes, wildlife, and rustic buildings. We have many custom framing options and can provide security mounting and installation at locations near Denver. Our discounts on volume sales of 3 or more prints or standard plaque mounted images are as follows (these prices are based on the retail price before the discount is applied - our retail prices can be seen here). These prices include free shipping or delivery on all photos! Plaque mounted images are very durable and can be easily cleaned with a damp cloth, making them especially well-suited for high-traffic areas. They also have no glass, which is beneficial because glass can be dangerous in a public environemnt and can cause glare that detracts from the image. Plaque mounted images are also less expensive to produce, allowing us to offer them at very affordable prices that fit your budget. If you like a more traditional framed look, we offer plaque mounts with a full frame around them. 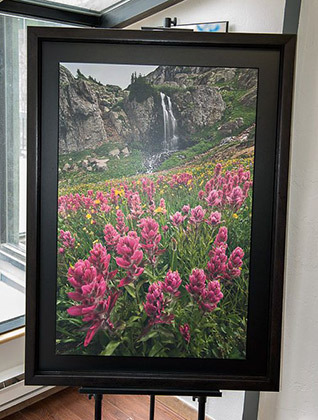 We also provide many other options, including aluminum-mounted images, images mounted under plexi-glass, and traditional matted and framed photos. However, the majority of our corporate clients prefer the plaque mounts due to their lower prices, stunning detail, and exceptional durabiliy. 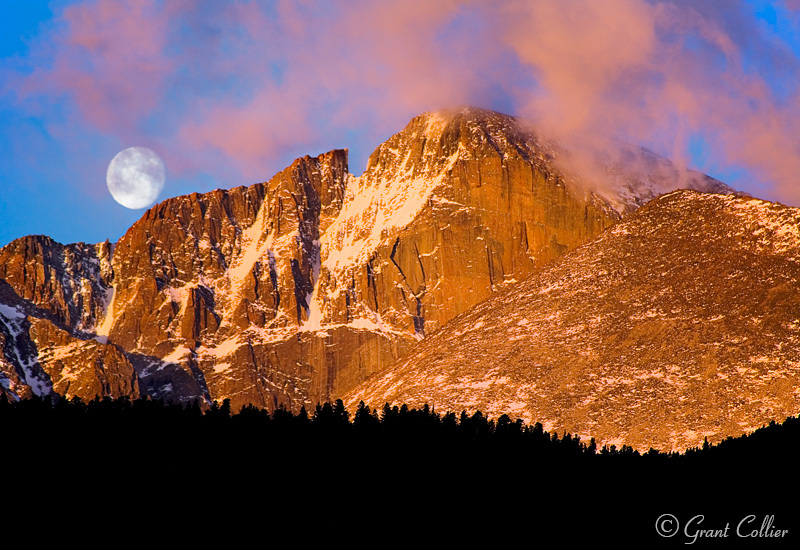 We offer a very large selection of images from Colorado, Utah, Arizona, Oregon, and many other states and countries. You can see over 400 of Grant's best images at www.gcollier.com. And if you have a specific need not found at GCollier.com, you can view over 5,000 searchable images at www.coloradopics.com. You can also Contact Us if you need help finding the right images. Are There Discounts on Grant's Books & Calendars? Absolutely! 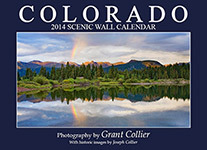 Grant is the author and photographer of many books on Colorado and Utah and he produces a yearly Colorado wall calendar, a Starry Nights calendar,and a Demotivational calendar. These make great gifts to show appreciation for your customers and employees. 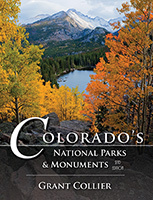 All of the books and calendars can be seen at www.collierpublishing.com and the discounts for volume orders are below. These prices include free shipping! 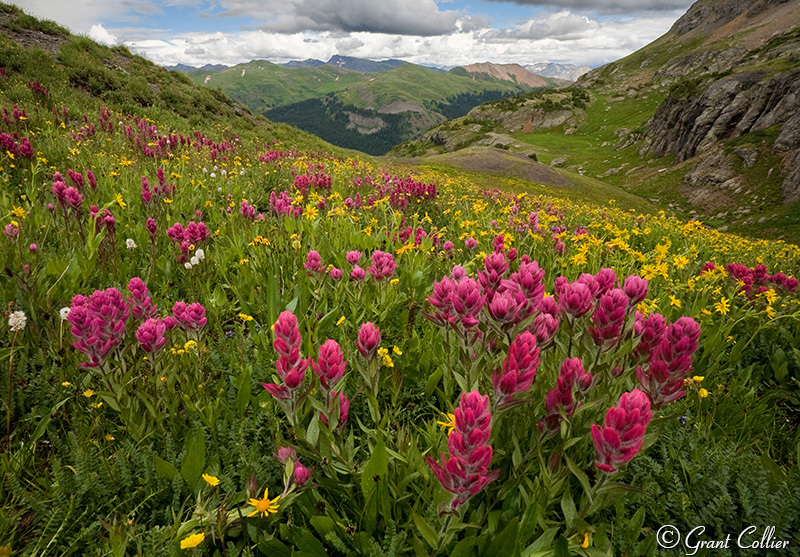 Grant Collier has been taking photographs for over two decades and is one of most widely published and respected photographers in Colorado. He uses the highest quality camera gear that produces stunning images at very large sizes. Grant currently shoots with the Nikon D800e, which is rated by dxomark.com as one of the best digital camera ever produced. Previous clients have told us they were unable to find images of this quality at these prices anywhere else. We pride ourselves on providing excellent customer service and will do whatever it takes to make sure you are completely satsified. For more information, contact us today. You can also call Grant at 303-984-0801.